Another legendary entertainment figure has passed on to glory. EarHustle411 and the entire world is saddened by the death of the a princess. Actress Carrie Fisher who is most popular for her role as the rambunctious rebel leader from the Star Wars movie series. She is the daughter of another Hollywood legend, actress Debbie Reynolds. Fisher got her acting chops started in the mid 1970s with her first film ‘Shampoo”. 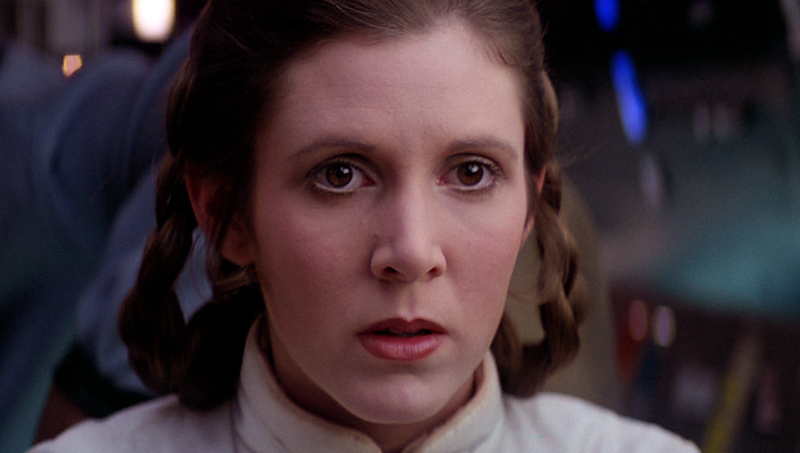 In 1977, when Carrie Fisher appeared as Princes Leia in the first installment of the critically acclaimed fictional space film Star Wars and she reprised her character in 1980 with Star Wars: The Empire Strikes Back. Carrie was also known as the revenge seeking, jilted woman who stalked John Belushi’s character ‘Jake Blues’ in the 1980 film The Blues Brothers followed up by another go round as Princess Leia in Star Wars: Return of the Jedi. While Fisher has appeared in approximately 44 films, 45 television shows and has voiced 3 video games, written 7 books, and script doctored 3 screenplays and so much more, she is definitely one actress that is worthy of celebrating her life and accomplishments. Carrie’s Star Wars’ legacy while impressive and legendary but her overall career and talents make her force to be reckoned with. In her personal life, she gave birth to one child Billie Catherine Lourd, in addition to going through some bouts of drug abuse and mental illness which she has spoken publicly about. Fisher’s repertoire as an actress, author, screenwriter and speaker while spectacular unfortunately her death leaves a void in the industry, especially when the discussion of Tinseltown and drugs seem to go hand in hand. One has to wonder what is it about the entertainment industry that many celebrities seem to have usage of drugs as a common factor. As talented, charismatic and vocal Carrie Fisher is, her death is a devastating loss and the end of an iconic character. EarHustle411 and the writing staff sends our condolences to the family, friends and fans of Carrie Fisher.